Loonsche Land Holiday Village is a four-star hotel at Efteling. The vibe here is somewhere between hunting lodge and farmhouse, with the rooms split between one main hotel block and a series of individual cabins. 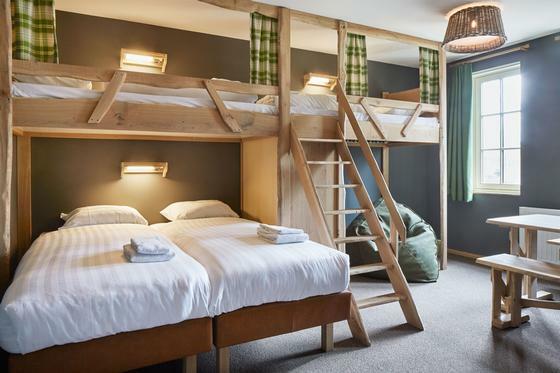 The rooms are minimally equipped but quaint, with the bunk beds given a cute "hideaway" treatment that kids will enjoy. The beds aren't quite luxurious, but perfectly reasonable at this price point.